Show your true color and who your heart belongs to with this black Jumbo Print Lannister t-shirt showing the lion of the famous family of Westeros. 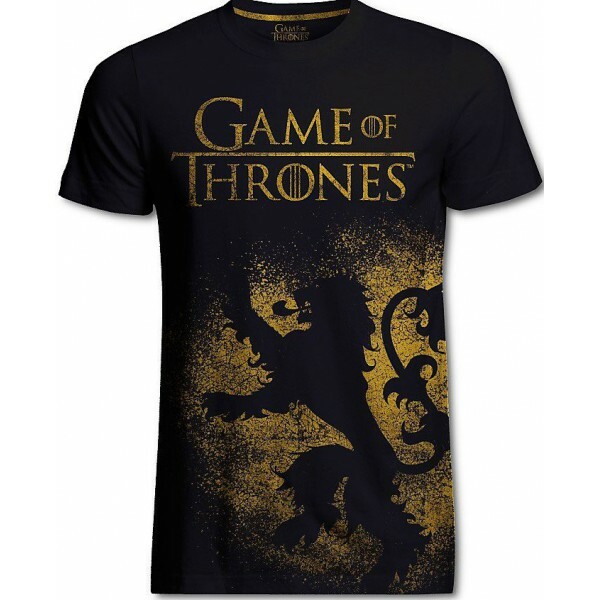 Si vous choisissez de recevoir votre "Lannister Jumbo Print t-shirt" via Lettre Suivi, les frais de ports seront seulement de 2,95 € ! Votre Lannister Jumbo Print t-shirt - Game Of Thrones est en stock !